Even though french fries are terrible for you, they’re one of those foods that are too tasty to pass up. But now there’s good news: Fried potatoes might have some unexpected benefits. 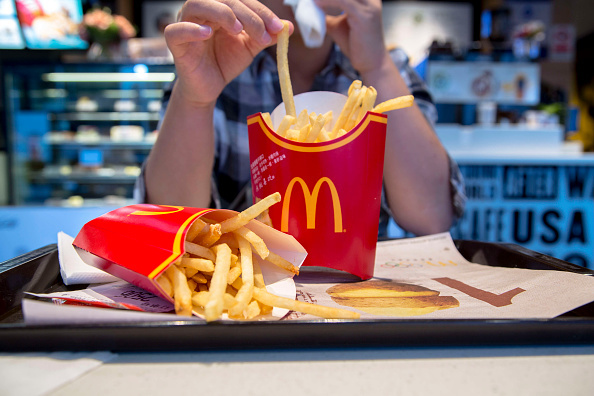 Some scientists believe that a chemical in McDonald’s fries could help cure baldness. Researchers at Yokohama National University in Japan found that dimethylpolysiloxane, which is added to McDonald’s fries to prevent frothy cooking oil, helped mice grow hair. In the study, which was published on February 1st in the journal Biomaterials, researchers used the chemical to grow “hair follicle germs,”(HFGs) which can be used to regrow hair follicles. If hair follicles are regrown, this can in turn encourage hair growth. The researchers involved in this experiment managed to create 5,000 HFGs using dimethylpolysiloxane. According to a press release about the study, once the HFGs were transplanted onto mice, new black hair sprouted from the hair follicles. Professor Junji Fukuda, one of the study’s authors, noted that preliminary human trials were promising as well. "This simple method is very robust and promising. We hope that this technique will improve human hair regenerative therapy to treat hair loss such as androgenic alopecia," Fukuda said, using the scientific name for male- or female-pattern baldness. But before you rush to the nearest drive-thru for an order of McDonald’s fries, you should know there’s a catch. During the experiment, the chemical was used as a base to create new hair follicles, meaning it may not grow hair on its own. So, sadly, chances are that chowing down on fries won’t make your hair any thicker than it already is. While there are perfectly normal reasons for experiencing hair loss and the condition is not life-threatening, this new potential treatment is exciting and could be a major boost to people’s self-esteem. But at the end of the day, having a full head of hair shouldn’t determine your self-worth. If you are experiencing hair loss, know that you are awesome just the way you are — even if McDonald’s fries don’t make a difference in your follicles.